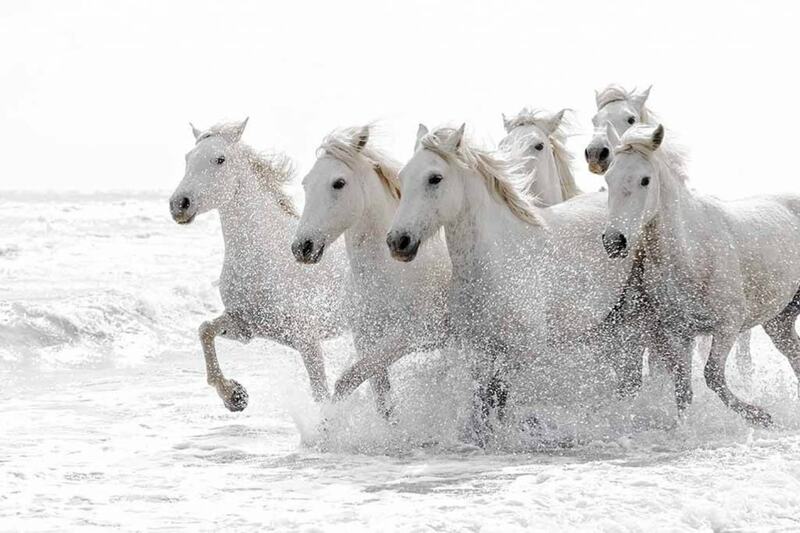 Is there anything more evocative than the image of a herd of wild white horses in the surf? For me, it brings back memories of that iconic scene in the Lord of the Rings when Arwen summons the river horses. 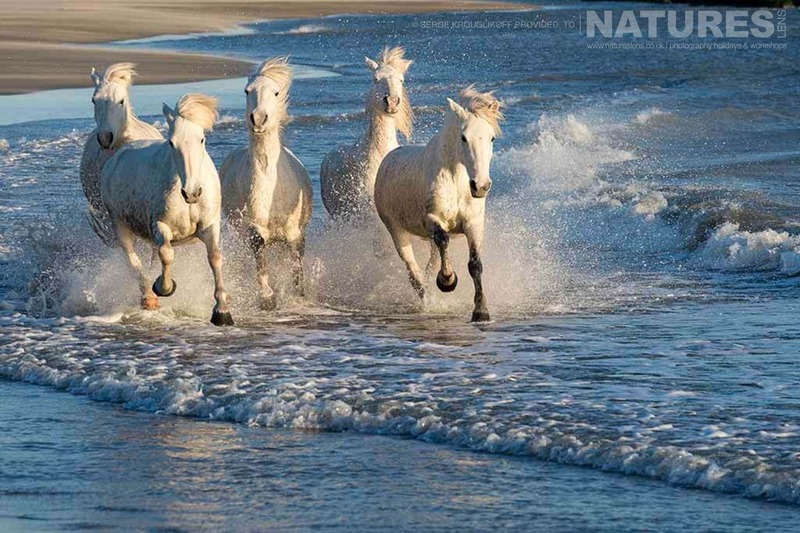 Quite appropriate when you consider that the Camargue horses are also known as “the horse of the sea”. They are not shod and their broad hooves are evolutionary adaptions to their wet environment. These magnificent horses represent one of the oldest breeds in the world. It is believed that they are descended from the prehistoric horses which lived during the Paleolithic period around 17,000 years ago. Unbelievably, despite being an ancient species, the Camargue horses were only officially recognized as a breed in 1967. 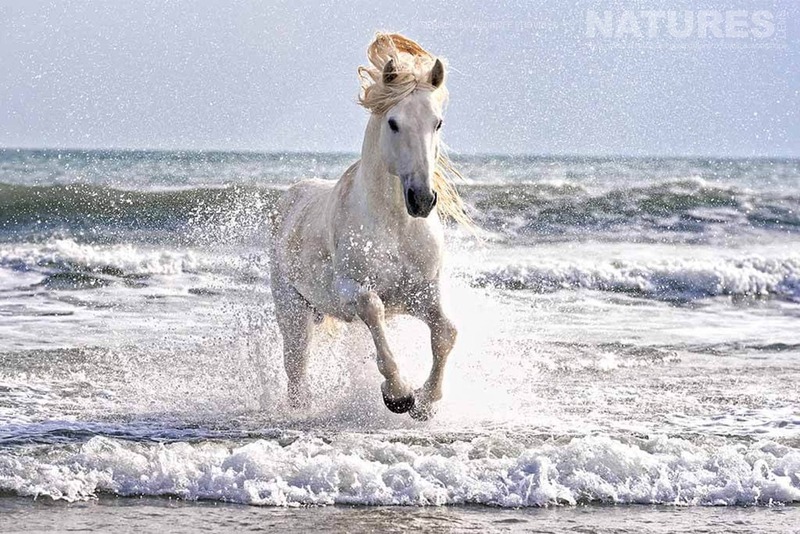 You don’t need a long lens to photograph the white horses running in the surf or along the water’s edge. In fact, the longest lens you need for this trip is a 70-200mm! 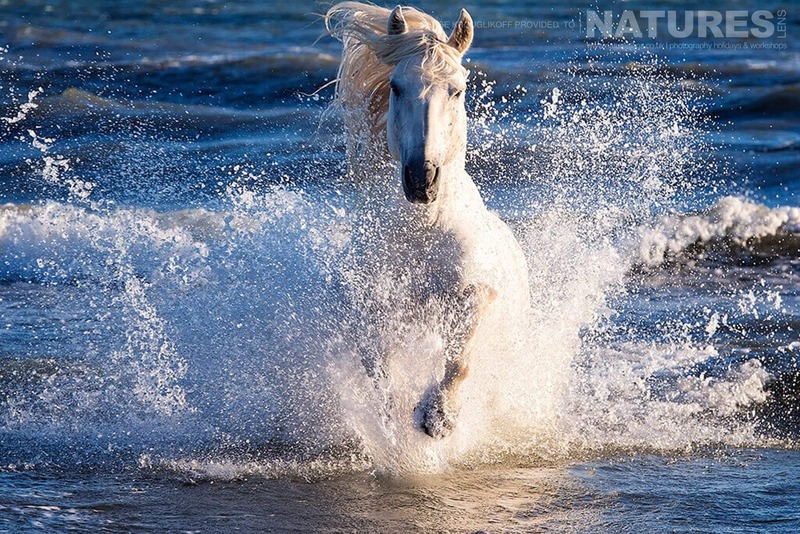 You can photograph the Wild White Horses in the surf as part of the White Horses of the Camargue Photography Holiday, this trip is a photography holiday of 4 nights duration, that costs £2099 & takes place in Montpellier in France, between the dates of 14th – 18th September 2018. It is ideal for photographing the wild horses, the wild stallions & more. This photography holiday is led by Pui Hang Miles for NaturesLens. The photography holiday is offered on a bed & breakfast only, non-shared basis. Group size for this photography holiday is a minimum of 5 participants & a maximum of 9, plus Pui Hang. We consider this to be an event of easy level of exertion, if you have any questions about your suitability for this event, please contact us prior to making a booking enquiry. The photography holiday starts & ends at Montpellier Airport. Transfers between Montpellier Airport & Montpellier are included in the cost of this photography holiday. 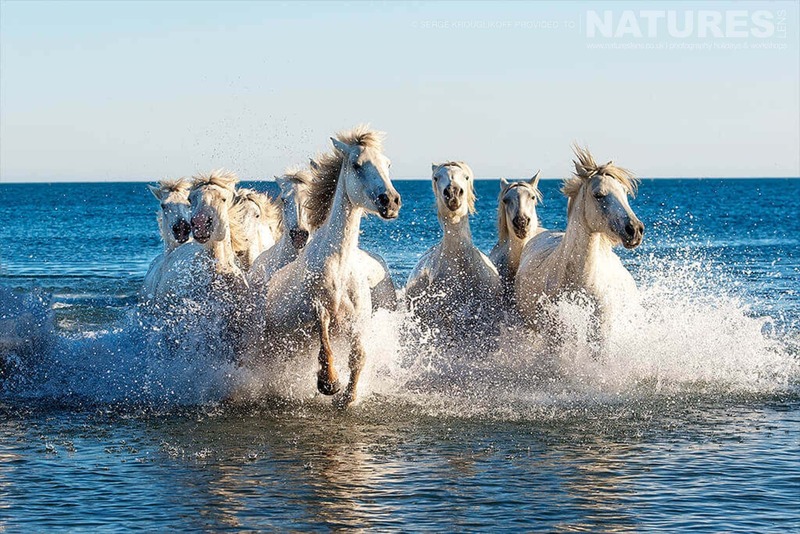 This entry was posted in announcements, galleries, photography holidays, worldwide tours and tagged camargue, no single supplement, non-shared rooms, photography holiday, white horse, white stallion. 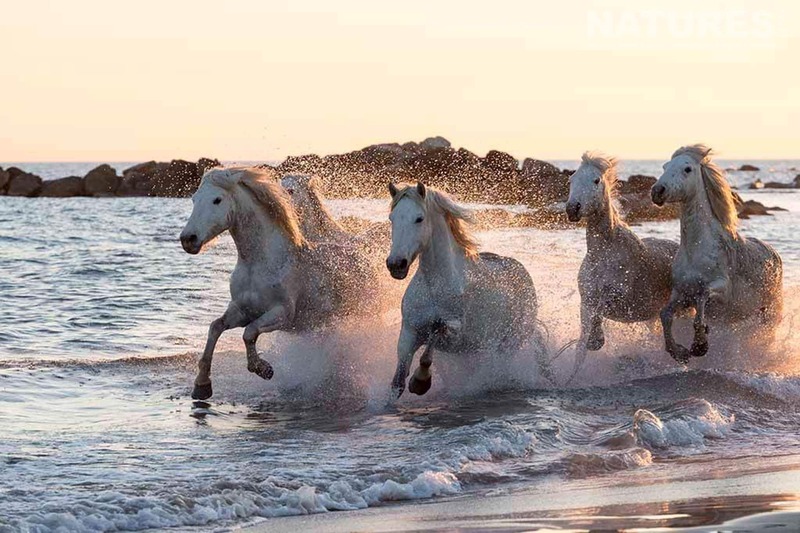 Whatever your query regarding our photography holiday, Wild White Horses in the surf of the Camargue beaches, please fill out your details below & we will get back to you.